http://www.chinasage.info/news.xml Here are some news stories we have found on other web sites that we think tell you much about what is going on in China. We avoid stories on politics and economics as these are adequately covered on other news web sites. These News stories are available as a news-feed so you can receive notifications of these automatically in your browser. Click on the RSS button to add it to your browser or copy and paste the link. It used to be common in the early morning, less so now, to see groups of people gathering in public parks to dance together. Although tai chi is done in silence the dance groups perform to the loud blare of amplified music. The noise was a disturbance for those not getting up quite so early. Now a group of middle aged women in Chongqing, central China, have come up with a solution. They all use MP3 players and earphones so that they can all dance in time but in apparent silence. The dance steps keep the participants fit and healthy and maybe the peaceful atmosphere will encourage younger people to take up the custom. Is it still worth teaching the English language in China? Is it a sign of new-found confidence that at least one Chinese blogger has questioned the need to learn the English language? For at least fifty years the learning of English has been seen as the passport to get that all important better job and get on in life. Early tourists were pestered by the locals honing their English language skills. Many English words like 'coffee' have made their way into the Chinese language. In his post, Hua Qianfang says that studying the English language was “... a trash skill for most Chinese that wastes countless energy and money and has cost children their childhoods”. The tables could now be starting to turn with businessmen keen to learn Chinese so they can aspire to land a deal in China without language difficulties. Learning written Chinese is known to be more of a struggle than other languages adding may be a year to achieve the same proficiency in writing. English has been a compulsory part of the primary school curriculum since the 1990s and must be a seen as quite a burden on the young if it is not to be of much use in life. Although many disagree with the blogger Hua Qianfang, the fact that it is being discussed may mark an important change of direction. Just as English people are among the worst for knowledge of foreign languages it may be that Chinese people will return the compliment. That judgment may be a bit harsh, the blogger makes it clear that it is technology that is making the vital difference. With modern natural language translation algorithms it is perfectly possible to get by with machine translation now - and this happens in real time. So the need to learn the language has dramatically decreased. Real-time translation is perfectly adequate for day-to-day business dealings but what will be lost is the appreciation of foreign languages and culture. Some businesses have come under criticism for only accepting electronic payments and not cash. China is leading in the adoption of payment by smartphone (583 million people). In Shenzhen, China's main technology and manufacturing hub, new technology is being tested to let customers pay by just posing in front of a screen. The camera will then use facial recognition to match to an individual and take payment. 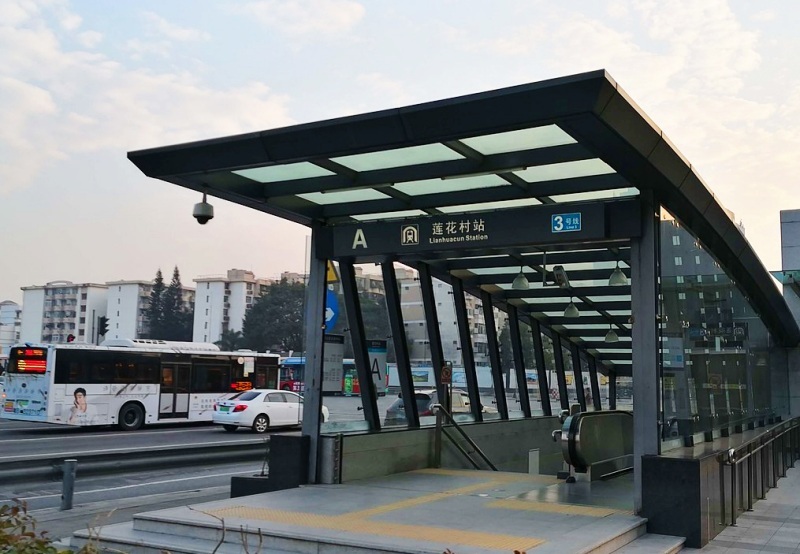 It is being tested at the Futian station on Shenzhen's subway network as well as the local branch of KFC. In theory this will work for everyone including the elderly who still carry cash and have no smartphone. However the state and local authorities are also trialing facial recognition to automatically identify people involved in minor infringements. In one case cameras will spot and identify people who cross the road with the pedestrian crossing sign on red (jay -walker). As these minor infringements end up reducing the overall 'good citizenship' score it is a strong encouragement. A low score makes getting a loan, a house or permits more difficult. After the probable extinction of the Yangzi river dolphin - the Baiji (白鱀豚 Bái jì tún) the Chinese are keen to preserve its close relative the finless porpoise 江豚 Jiāng tún - affectionately known as the ‘river pig’. This has involved the introduction of bans on fishing which has caused the many communities to suffer. Zhu Changhong is one such fisherman, he was forced at the beginning of 2019 to give up his fishing boat that had been in his family for generations. In 2000 the Tongling Freshwater Dolphins National Nature Reserve, Anhui was created which included the stretch of Yangzi/Yangtse river he used to fish. Since then the periods of fishing bans has been extended until it was applied to the whole year round. It is not just over fishing that is causing river dolphin population to plummet, increased river traffic and pollution have played their part too. The Yangzi finless porpoise (Neophocaena asiaeorientalis ssp. asiaeorientalis) is a critically endangered species with only about a thousand individuals remaining, it is often called a river dolphin. Zhu Changhong has been give a new role to which he has adapted, he now patrols the river collecting trash and recording sightings of the porpoises. He collects 441 pounds [200 kgs] of rubbish each day from about 7 miles [12 kms] for which he is paid 600 yuan. In more suspicious times the U.S. Senate are urging more scrutiny and openness about the many Confucian Institutes. There are about 500 institutes worldwide often associated with a university, 94 in the U.S. and 23 in the UK . They are created to spread the knowledge about Chinese culture and language. They can be seen as an example of China's increasing use of 'soft power' to increase its influence worldwide. The report is most concerned about the situation in U.S. schools. There seems to be less control and accountability of the funds received. The problem is that the initiative is funded and controlled by China's central government and not as a purely charitable venture. Senators are concerned that the funding could be used for political purposes. Perhaps schools and universities could be gently persuaded to change teaching in order to acquire the much needed funds. They want the funding for schools to be stopped and the university funding to be brought under greater scrutiny. In China there is huge pressure on children to perform well at school. Children will normally fill their non-school hours with activities to enhance their all important chances for achieving good grades and acquiring useful skills from very early years. In recent years a great many organizations have popped up that offer after-school classes in all sorts of subjects. The government is now stepping in to regulate the market and so prevent wild claims of potential success in this very competitive and lucrative market. The Lantern Festival on 19th February marks the official end of the Spring Festival, although for most people the long holiday has been over for some days now. As the name suggests many bright, colorful lanterns mark the festival and it is the days when dragon dances are frequently seen. One particular spectacular event has been 'iron fireworks'. Wang De is one of the last few practitioners of this ancient skill that dates back 500 years. 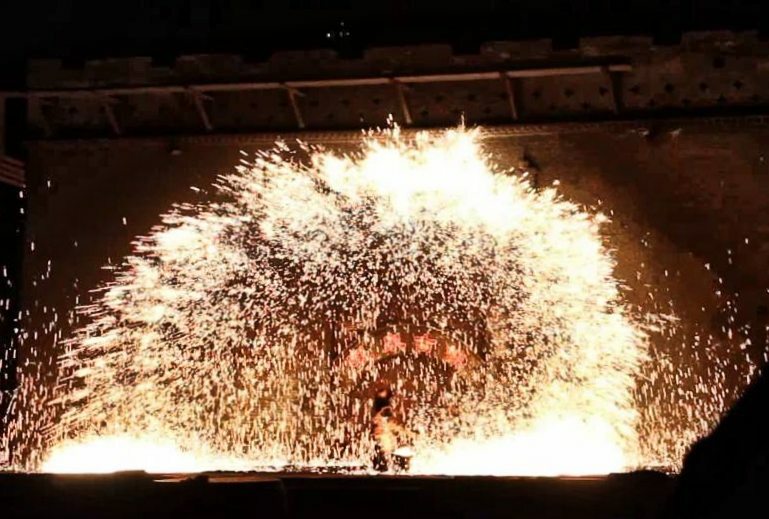 To make his display he hurls molten iron at a wall to form a cloud of sparks. Wang De wears sheepskin for protection and uses a willow spoon to ladle out small amounts of metal. The unusual skill grew up in a community of blacksmiths in Hubei province in the Ming dynasty. With China in the middle of the Chinese New Year it seems appropriate to report a good news story. In this case it has worldwide benefit, not just to Chinese people. China has been busy planting trees for decades and the effect is on such a vast scale that it is visible from space. A NASA satellite has found increased vegetation worldwide 2,000,000 sq miles [5,179,976 sq kms] and about 25% of this is in China. The total area added is similar to the size of the Amazon rain forest and so this is very significant change. An early push for reforestation was to help prevent flooding in the Yellow River basin. Intensive farming in the north had removed all the trees that stabilized the friable loess soil. In flash floods the soil easily liquifies and creates dangerous thick mud that easily blocks river channels. Tree planting began back in the 1970s and now heavy rain does not cause as big a problem. Shelter belts have also been planted to try to hold back the sands of the Gobi desert that are often deposited in Beijing in summer. A good proportion of the greening seen by the NASA satellite is not due to trees but from other vegetation - including crops. Much of this effect was seen in India, this is due to increased plant growth from the use of fertilizers and pesticides. In China it is mainly from forests rather than agriculture. This is partly because in China people continue to move from rural farming into the burgeoning cities. Small scale agriculture has become increasingly uneconomic and plots of land are reverting to patches of woodland. Although this greening is to be welcomed it is unfortunately not sufficient to mitigate the greenhouse gas emissions and reduce climate change significantly, but every little helps. The government is on target to achieve its aim of 23% forest coverage by 2020 -by comparison the UK, widely considered a green and pleasant land, has only 13% forest coverage. March 12th each year is designated the official tree planting day where everyone is encouraged to go out and plant a tree. This was instituted in 1981 and is now showing great benefits. It is little known that for China it was the trade across the Pacific in the 16th and 17th centuries that really opened up international trade and not the Portuguese at Macau. When the pope divided the world between the Spanish and Portuguese the line drawn had wide repercussions. Portugal could trade from Europe via the Cape of Good Hope to the Spice Islands and China while Spain had the control of trade to Mexico ('New Spain') and then over the Pacific to East Asia. The discovery of huge amounts of silver in Mexico and Peru gave the Spanish something with which to buy Chinese luxury goods. The Spanish dollar 'pieces of eight' became the common currency and it was on this coin that the American dollar was based (and later the Hong Kong dollar). Many of the luxury items from China that arrived in Mexico were carried over to the eastern coast and from thence by sea to Europe. It was a very lucrative trade and only ended when Mexico gained independence and the opium trade began. The trade is less well known because the main port was not on the Chinese mainland but at Manilla in the Philippines where a thriving Chinese colony rapidly expanded. This page on SCMP gives a huge amount of interesting information about this trade route, including the details of how the mighty galleons were built. The Chinese appetite for the sweet and sticky Durian fruit is causing a few issues. In four years the price has tripled to over $22 a kilo. The tropical fruit is mainly grown in Thailand and Malaysia and the much higher profits are driving farmers to clear ancient, unspoilt forests to expand their orchards. The most sought after variety is Musang King and farmers can make nine times the profit from growing it than producing palm oil. The environmental damage from forest clearance has poisoned the rivers and driven out indigenous tribes. The forest used to be home to wildlife and many rare medicinal plants. The Orang Asli tribe are particularly badly hit and are now trying to block further encroachment. 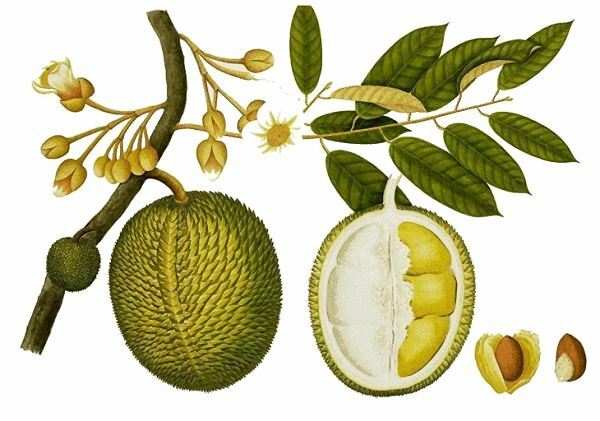 It seems that some pressure from the central Malaysian government may be slowing down the dash to grow more Durian fruit trees. 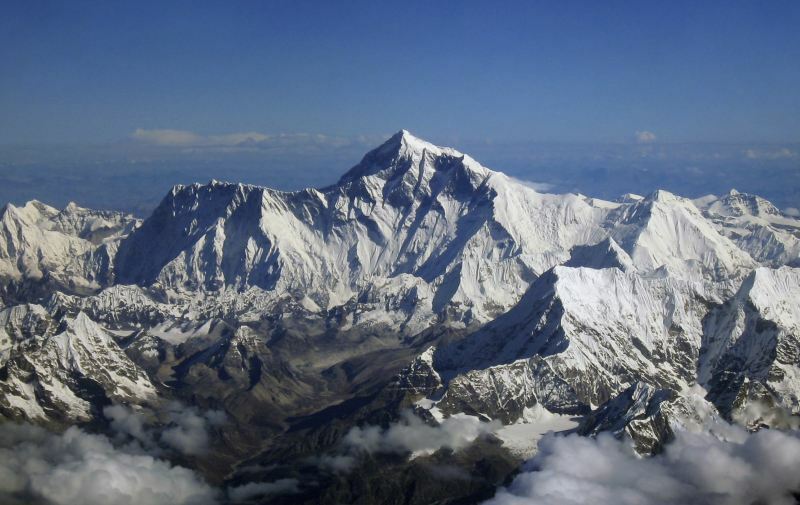 In order to carry out rubbish collection on the busy climb up Mount Everest China has restricted the number of permits available. It's sad that a once in a lifetime climb can be somewhat spoiled by seeing heaps of rubbish instead of pristine views of the mountains. Up in the high, frozen mountain paths nothing rots away, and there is no wildlife to help disperse it. So everything from oxygen tanks to human waste will stay there indefinitely. The Chinese are tidying up their side of the mountain, (last year they disposed of 8 tonnes of rubbish) while the Nepalese are also busy on theirs - with the help of the Indian army. A literature professor has become a surprising online hit. Dai Jianye of Central China Normal University, Wuhan posts regular videos of readings of ancient poetry which now has over 2,000,000 followers and has also written best-selling poetry books. Classical poems often a thousand years old seem to be ideal for the short attention span of modern audiences. They are often concise and with only a few characters bring to mind complex notions. Dai Jianye has been quoted as saying "The Chinese are wise and the language is beautiful. Ancient poetry combines both and should be studied and shared". A recent survey of 100,000 millennials has put classical poetry as their most popular traditional art-form. Chinasage has popular pages introducing poetry and also the Three Character classic. 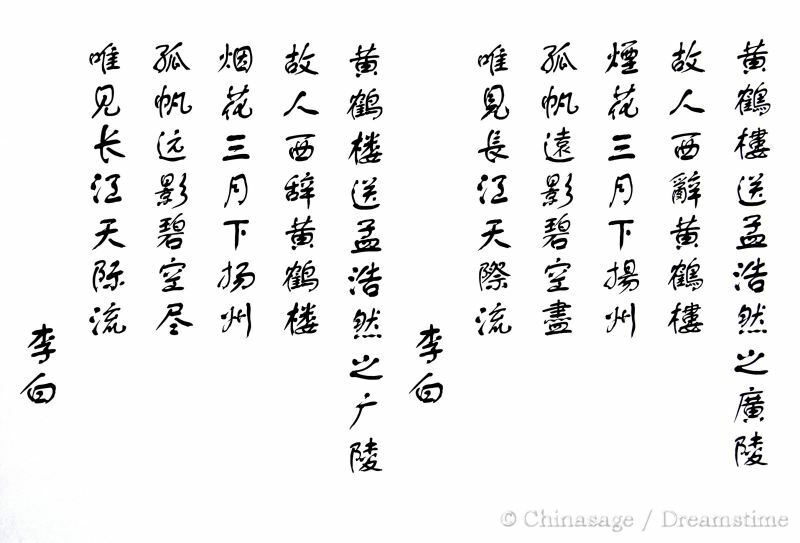 A famous Tang Dynasty poem by Li Bai, wishing farewell to a friend in both Traditional Chinese and Simplified Chinese. A year ago we reported the case of a dedicated 8 year old schoolboy who trudged through nearly 3 miles of ice and snow to get school each day. The picture of his ice covered hair 'went viral'. Since that time things have changed. 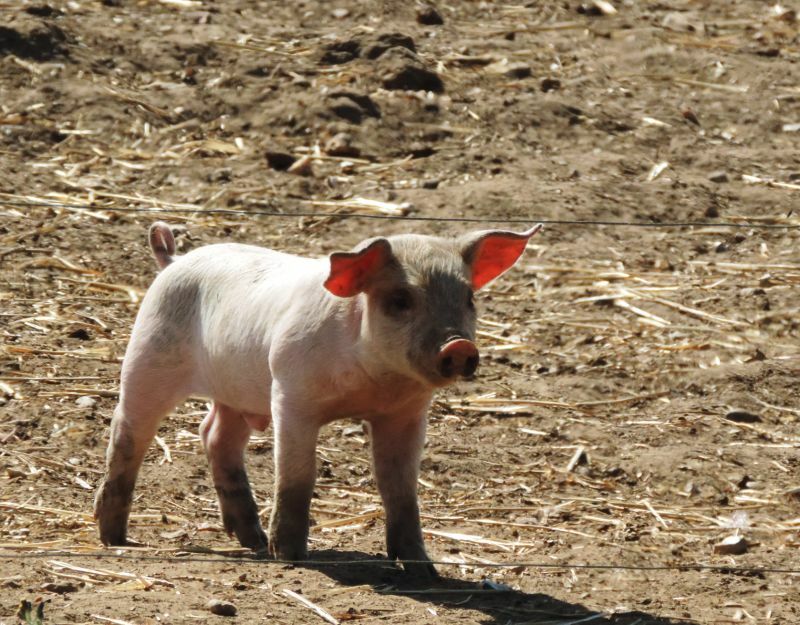 His family have relocated to a house just 10 minutes walk from the school in rural Yunnan. Wang Fuman is one of the millions of 'left-behind' children who live in villages. Both his parents have moved away to work in the cities and so he is looked after by an older sister and his grandmother. Not just the Wang family have benefited from the publicity; the school has been given extra funds for classroom heaters. Other schoolchildren has benefited too as the school has built a dormitory so they no longer need to trek long distances each day. The ice-boy's ambition remains to become a policeman when he grows up. 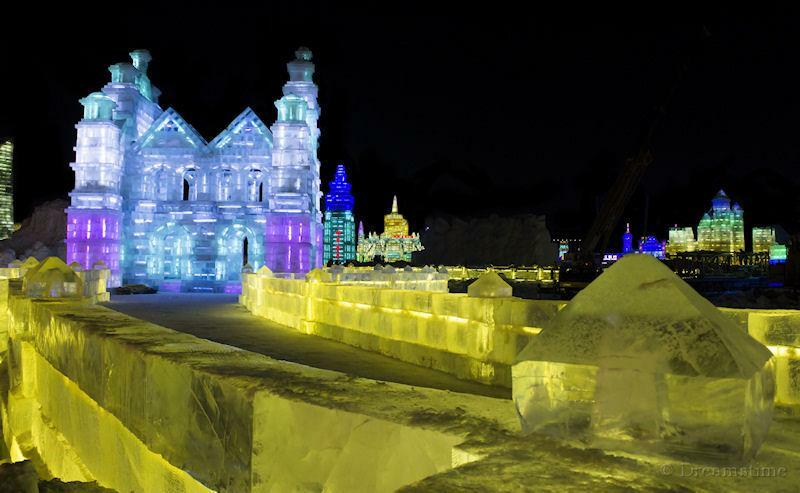 Each year in the depth of winter an Ice Sculpture festival is held in the far north of China. In Harbin, the provincial capital of northernmost province Heilongjiang, the temperature reaches its annual minimum (typically -22 ° F [-30 ° C]). In this Guardian gallery of really impressive photographs by Kevin Frayer the toil of the local ice sculptors is followed as they prepare for the opening of the sculpture park on 5th January (it lasts until 28th February). Impressive structures are built out of ice blocks cut from the frozen Songhua River. An incredible 200,000 tons [181,437,000 kgs] of ice are used. Chainsaws cut the blocks into rough shape and finished with hand saws and special chisels. A sculpted tongue and groove allow high walls to be constructed by locking the ice layers together. They are built up into towering skyscrapers, pagodas, minarets and bridges spread over 180 acres [728,434 sq meters]. It is the world's largest ice sculpture fair. Each structure is festooned with thousands of LED lights. With the burgeoning economy and the desire of many to get rich quickly, it is perhaps surprising that the important sites of the emergence of the Communist Party in China are receiving more tourists. 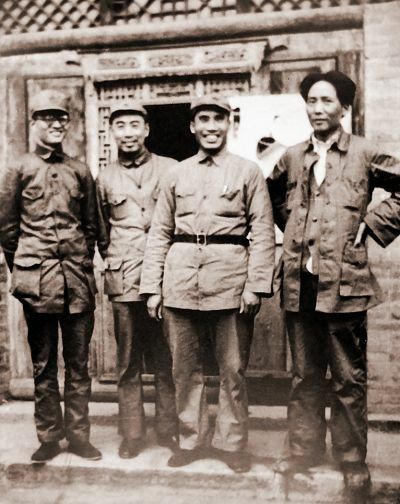 It was at Yan'an that Mao Zedong set up base after the famous Long March. The beleaguered survived had to live in caves cut into the loess cliffs to escape bombing raids. Edgar Snow brought the news of the communist resistance to the world in his book 'Red Star over China'. In 1937 there were only 40,000 party members - it was to grow to the world's largest membership organization - 89,000,000 people in 2017. Figures show a 26% growth in tourist numbers for 2016-7. The town is also popular with foreign delegations wanting to see the important place where Mao developed plans for transforming China. Of most interest to some is how re-education system developed a legion of loyal party activists - the cadres who were the power behind the revolution. China has ambitious plans for Mars exploration. If current plans are followed then an unmanned space probe will be launched in 2020 and then soon followed up with a manned landing. Researchers who have worked on China's deserts to prevent further spread have developed a process using algae that quite quickly turns loose sand into a soil suitable for plants. 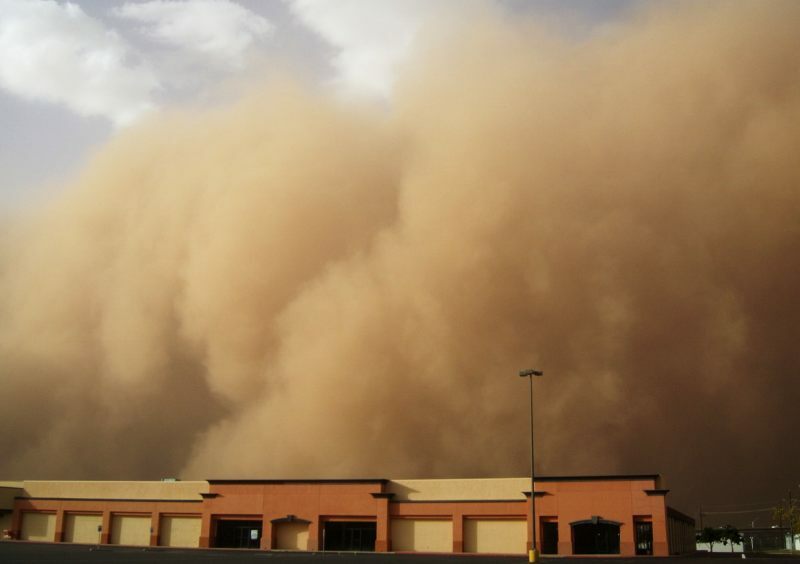 Northern China is beset with sandstorms from the Gobi desert and for decades have been made to make shelter belts to reclaim them. Specific algae have been found that will quickly colonize the sand and stabilize it. The interesting part of this development is that the same technique could probably be used on the 'desert' landscape of Mars. This would make the science fiction Matt Damon movie ‘The Martian’ closer to reality. In a reversal of history Portugal has become the first European nation to sign up to China's Belt and Road Initiative. Portugal was the first and last nation to open a colonial port in China - Macau in 1557 and only left in 1999. China has been investing heavily in Portugal in recent years. The country has had a weak economic performance for some years and have welcomed investment in the country's beleagured energy sector ($10.3 billion). Portugal is in a convenient position to benefit from the huge Belt and Road initiative because it is a place where the China Belt (overland route from Central Asia to Europe) and Road (sea route) meet. Other European countries are a little concerned with this latest development. Both Spain and Germany have declined to sign up as yet. It is also the sort of deal that the European Union as a whole would be expected to sign rather than individual member states. 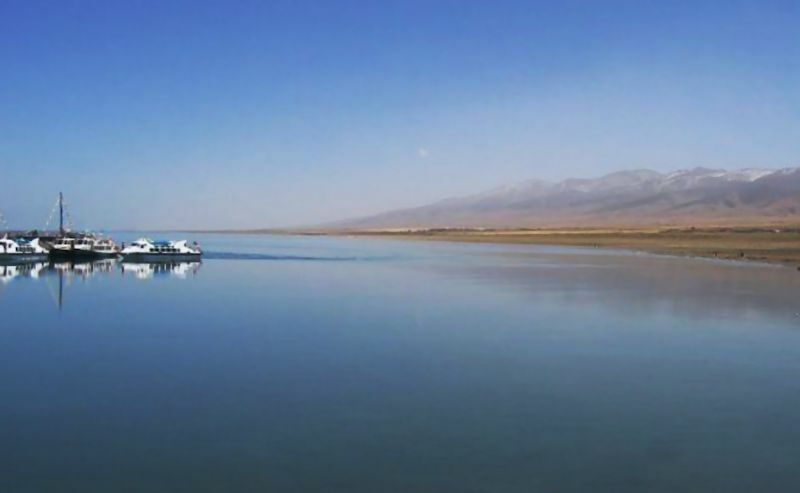 Qinghai Lake is a salty lake more than 3,000 meters above sea level; the name means ‘green / blue lake’. May 2001.